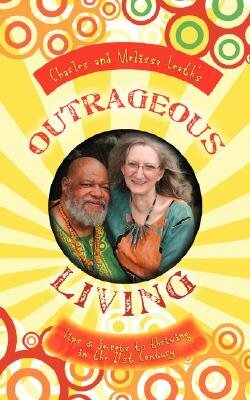 Outrageous Living is an unorthodox look at Life. Brace yourself for this innovative approach to divine manifestation. Whether it is inner spiritual awareness or dealing with everyday events, you will find simple resolution. If you are contemplating a change in your life or searching for the hidden treasure inside, this is your road map. Does your Life support your Happiness? Do not deny Life, because Life is God passing through you. Find out about: using right thoughts and words; emotional release; stepping out in faith; honoring yourself. Charles and Melissa Leath share their metaphysical and spiritual views on the World, Life and how you can navigate your way to your desires. Their response to society is always an outrageous peek at true awareness. They have been presenting their own information separately for too long. Now the Yin and the Yang have come together...so watch the sparks fly!